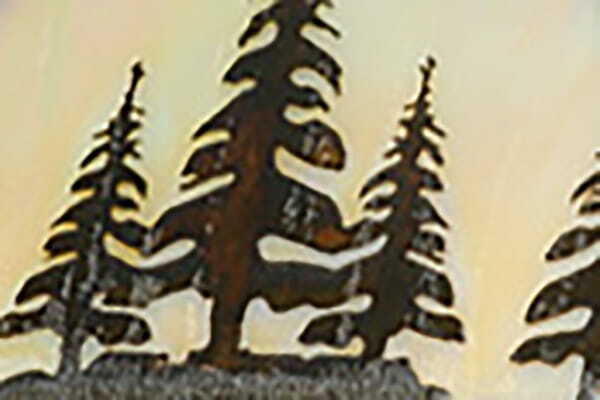 North country style for wood and metal railings. 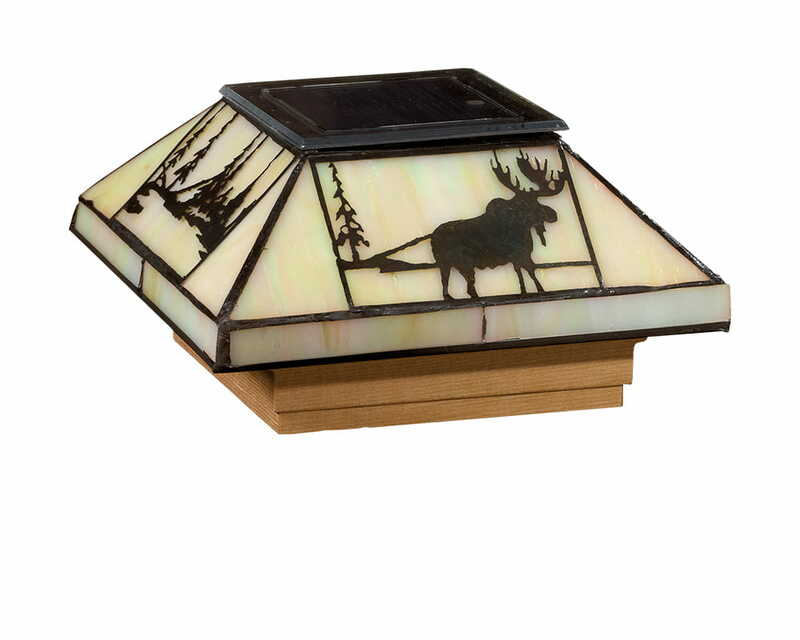 Solar light glows through a Northwoods reindeer and pine trees. 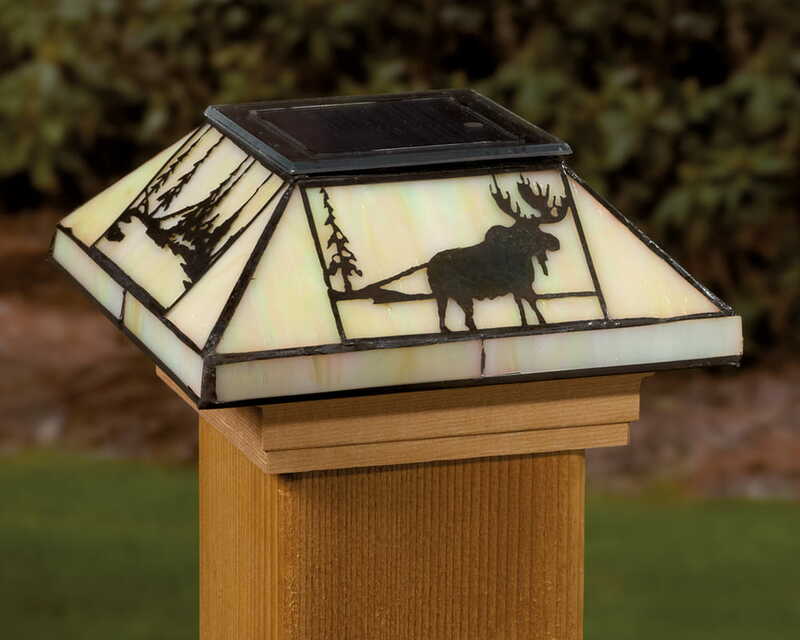 The charming design, cut into a metal band, decorates a transucent glass post cap. An easy way to add deck lighting without electricity. Handcrafted with exacting standards and excellence. Post cap fits a standard 4” x 4” wood post (inside dimensions: 3-5/8” x 3-5/8”).